In the 30-plus years STC has been in business, many of our customers have come into contact with us during the development phase for a new product. In some cases, customers are able to submit detailed specifications, including information such as volt-ampere requirements, available dimensions (footprint or envelope), ambient operating temperature, and many other product requirements. …one particular safety certification may be more suitable—and beneficial—than another, and customers must also consider the varying cost and potential benefits for the lab testing that goes along with these certifications. Then there are other considerations, like safety certifications (such as UL, CE, ETL, and so forth). These certifications are assigned after lab testing to confirm the component meets specific safety requirements. After successful testing, the corresponding certification mark is typically applied and displayed on the component. However, one particular safety certification may be more suitable—and beneficial—than another, and customers must also consider the varying cost and potential benefits for the lab testing that goes along with these certifications. There are a number of factors to evaluate when considering available safety certifications, and STC design engineers know which questions to ask to determine the appropriate certification for each new product. 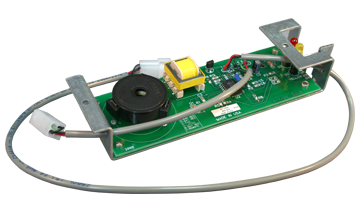 STC’s wide range of capabilities enable us to design both at the component level—as well as the circuitry around that component. 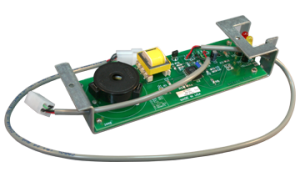 Our magnetics capabilities enable us to integrate the right power-supply transformer, and our EMS capabilities enable us to work that power supply into the final electronics assembly. Need a unique enclosure for a box-build assembly? We also have 3D-modeling and printing capabilities, which are useful during the prototype phase to help a customer arrive at a precise case or cabinet design. Product development is our specialty—and we look forward to working with you on your upcoming product. Contact us to see how we can help you.